Parody comedy disclaimer: Kate Moss took no part in this blog post, and hasn’t heard of me as far as I know. Harry Enfield did a good parody comedy celebrity show recently, set on Richard Branson’s island (I use his Virgin Media creation, and have really requested a space flight or visit to his island as a bonus in the comments of his Linked In posts; where reality and parody meet; but to no avail so far! ), and including J.K. Rowling, who of course became G.G. Howling in the greenYgrey world. I thought Enfield’s parody was more South Park to mine being Simpsons. Vic and Bob’s new series parody is also quite close to the bone. I like it, and just mention it here for those critics of mine who don’t understand parody/satire. With only four days to go until mistYmuse Y-Day on January 21st, marking a month since the Winter Solstice, and half way stage of the mistYmuse, covering November 21st to March 21st, Mist (Most Ideal Sunrise Times) Evaporation Week (MEW) is really hotting up, with the ceremonial departure of the M, as we prepare to move into the muse half of the most winterish four months of the northern hemisphere year, until the spring equinox. Kate Moss was named the Queen of the greenYgrey world, and a couple of days ago I saw a news story on MSN that it was her 45th birthday yesterday; I didn’t know/remember before, trying not to take too much notice of my celebrity heroes/heroines. Using the height of my music-making talents, I adapted Kiss’s King of the Night Time World, swapping King for Queen, and Night Time for greenYgrey. You’ll have to do the imagining yourself! When I first saw the photo below in the article, of Kate greenYgreying in the Ab Fab film, which I saw for the first time recently, I thought her arms and head create a W, which I thought was ironic in mistYmuse Y week, although the W was a big letter in the werewolf greenYgrey world! 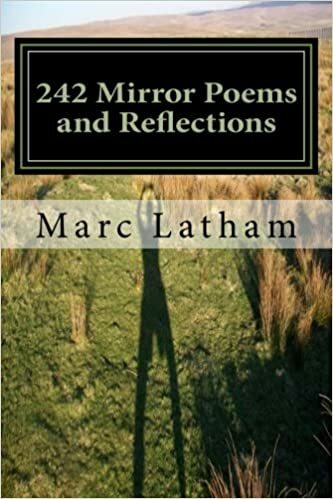 It also reminds me of Folding Mirror poetry!! The annual Victoria’s Secret’s show was like eating a beautiful cake, knowing there’s a lot of bad ingredients, but some things are worth the cost. That probably doesn’t count for the planet, but there’s so much else that is destroying it, that it is just one little beautiful human island in an ocean of overpopulation and consumption that nobody’s really doing much about on a scale that will prevent anything as far as most scientists have been predicting for decades. Congratulations to the blondes who’ve survived the Multicultural Fascist with-hunt! If in line with Darwin’s theory of evolution of the strongest surviving, then only the most beautiful blondes would have made it to the catwalk. As probably the leading doctor of philosophy expert in beautiful blondes, working diligently for five years to attain the award; openly out of the Victoria’s Secret lingerie closet anyway! (a joke I made about coming out of the closet years ago!! ); I don’t think Darwin’s theory was disproved. I am now also the first lesbiman (creating that word out of what was before lesbian man). That doesn’t mean I want to wear Victoria’s Secret lingerie, but does mean I’d like to be invited to one of their pyjama parties! Not expecting though!!! This is a fitting remembrance Sunday poem according to the democratic tradition, as they say the wars were fought for these freedoms, as I saw somebody say on the news this morning that the attack on the Charlie Hebdo office in Paris had inspired more appreciation in France since then. Njörðr is/was a Norse sea god. I wrote this during the Remembrance Sunday commemorations. It’s what my muse directed me to write, without planning. I still remembered the brave war dead, but don’t think I can ever better my previous poem posted on this site: The Whistle Cried Heavy. The only correction I made to the whole post was changing the penultimate line of the poem from ‘you kill life’ to ‘we kill life’, taking responsibility for what I do, knowing I’m far from perfect! Hi, it’s Greenygrey. I’ve returned to the U.K. today, but zipped ahead of myself last night for a run in the sun, after seeing on the weather forecast that I’d be dominating the landscape today and most of the weekend. Today we’ve got another Werewolf of Oz episode, after talking pagan films, writing chapter fillers and The Code numerical twists. Talking of greenygrey dominating the landscape, our film correspondent, Quentin Tarwolftino alerted us to greenygrey dominating the landscape in Valhalla Rising, which is available to watch on BBC iplayer (only in the U.K. unfortunately) until Sunday. The film provides a realistic portrayal of the clash between paganism and monotheism a millenium ago; we like to think that the dominant greenygrey with a little yellowyblue landscape was instrumental in creating its realism. While we relate to its historic warrior paganism, we don’t want a return to those times of conflict and war, and think that a more feminine new-age-paganism is the best way ahead for Britain and the world: humanity, environment and wildlife. First of all today I’d like to apologise to Marc Latham about criticising his leaving place names out of the notes when he was editing Grey’s great fantasy travel quest. 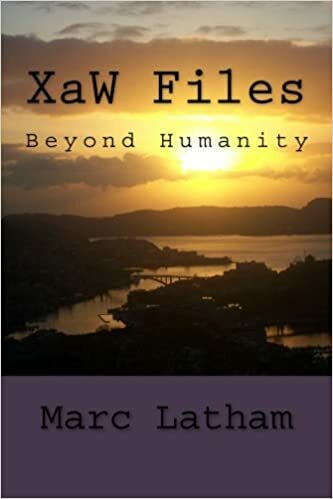 While I was checking the Smashwords copy I noticed Marc did write in the book preface that place names were mostly real, and those that weren’t real would be explained. Having said that, I think that for this serialisation of the book it’s better that connections are explained more clearly. For example in this episode, that the Railway Hotel is a real place in Castlemaine, and that’s the connection-inspiration for the Railroad Song being played. While you may think book writing and publishing is easy work; and it is more pleasurable than most jobs in my experience; there’s a lot of thought and time needed to get it as correct as possible. This ‘quick blog’ was meant to have a paragraph or two introduction, but now has ten or twelve; and it and all its extras will take about two hours! After the run, the above introduction, and what I consider a Magnificent Seven classic comedy satire fantasy travel quest episodes of Werewolf of Oz: Fantasy Travel by Google Maps; which is now not only available on Amazon for paperbacks and the Kindle Ereader but on Smashwords for other Ereaders; I’m quite relieved that today’s episode is a bit of a filler lull… but this blog could now be considered a classic!? Before you think the Werewolf of Oz is bad value for money because it has filler chapters, this is a common technique in book writing. It allows character development, the back story to be told, and the readers to catch their breath. I just googled it, and this was the best ‘Writing “Filler” Chapters‘ result I found on the first page. However, although it’s not a classic chapter/episode, hopefully you’ll find it quite enjoyable. And I think you will if you’re a Lynyrd Skynyrd rock band, Castlemaine beer or town, The Code documentary or Greenygrey Combination Colour fan… it also hopefully provides a little comedy. My favourite little twist was the way Angry wanting two beers meant the beer order was 6-4-5 in a chapter/episode built around The Code documentary. The programme was about how some mathematical equations seem to dominate nature. After the meal and passer-by had left us dazed and confused, we decided a drink or three was needed. So we headed up to Castlemaine and chose the Railway Hotel because it reminded us of Lynyrd Skynyrd’s Railroad Song. We ordered six 4Xs for the five of us, because Angry wanted two. It was a quiet afternoon, and our finking was frankly frazzled, so we lounged around watching a documentary called The Code. It argued that there were numbers naturally embedded in nature, and that some numbers seem especially common and important. I wondered if green and grey would be a top colour combination in a similar study on colours. I didn’t say anything to the others because I thought it might sound supercilious; be treated as super silly, and not be taken super seriously. We didn’t overdo the beer this time, and all left the bar compos mentis. There is a Railway Hotel in the centre of Castlemaine, Victoria. Railroad Song is a classic Lynyrd Skynyrd hobo travel song. Dazed and Confused is a Led Zeppelin song. The Code was a real documentary. 4x is a Castlemaine brewery beer. Hi, it’s Greenygrey, our summer-September photos reminded us of Grey’s epic comedy-fantasy travel-quest epic saga Werewolf of Oz: Fantasy Travel by Google Maps, so we thought we’d end the week with another thrilling episode of your favourite werewolf travels Australia by Google maps to a Wizard of Oz theme story. And it is an important episode, because with Bonzo now travelling alongside it, Grey Werewolf meets its nemesis for the rest of the story: the Monotonous Monotheist. The MMs take the places of the witches in the Wizard of Oz. Thousands of women and men have been executed/murdered for the power, greed and politics at the historic heart of organised religion, so who’s the baddie? 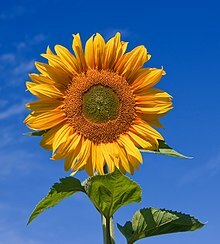 Monotheistic religions did help end pagan life-sacrifices, so they have done some good, although it could be argued that the execution of innocents by monotheistic religions on trumped up charges, and the slaughter of animals without a ‘humane’ system are a kind of sacrifice, to make the persecutors/executors feel closer to their God. The storm seemed to be catching up with us, so I shapeshifted into a flying elephant, which is one of the hardest single-species shapeshifts to accomplish. Looking back on it, I was probably showing off in front of Bonzo; or below him to be more exact. My new friend hung on to my ears for dear life as we flew high over the Kalbarri National Park, which looked so beautiful I somewhat regretted not being on the ground. A couple of hours later I caught sight of Meekatharra for the first time, but couldn’t see any meerkats; I was sure Barry said there was a big community. All I could see was a single human, who seemed to be ranting. I started to descend slowly, but the storm caught up with us just afterwards. I was spun out of control and we were soon falling like a rock and pebble; until I landed trunk-up on the human. Bonzo was sent sprawling, but was back on his feet before me. I shapeshifted out of elephant first. 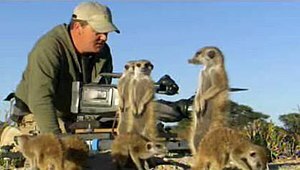 I was still shocked though, and asked the meerkats what they were so happy about. A couple introduced themselves as Bruce and Sheila Orlov, before telling me their story. They said most of their family had settled in Meerkovo after emigrating from Africa, but they had continued to Oz; building an idyllic meerkat community amongst the wonderful nature in this area. Then a monotonous monotheist (MoMo) arrived, introducing itself as enaB. The MoMo persuaded them to cut all the trees down to build a big new temple, promising them that it would safeguard their future. There were no problems during the next decade, and they thought they’d done the right thing, but then the rains came. With all the trees chopped down there was nothing to stop flooding in the area. This also polluted the river, so they were left without food and water, and needed to call on their reserves to save the community. That was when they found out the MoMo had traded all their riches, and left the area while they tried to survive the disaster. It had used its money to grow ever more powerful, and they had been hiding from it ever since. So they felt liberated from a great evil. I said I knew how they felt after my recent experiences in the Greenygrey world. 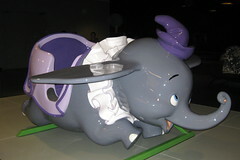 Grey’s elephant flight with Bonzo is reminiscent of Disney’s Dumbo and Timothy Q. Mouse. 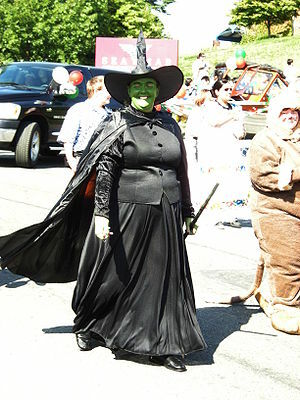 Wizard of Oz, Wicked Witch of the West (classic film and character). Orlovs (Compare the Market [Meerkat] advert characters live in Meerkovo).